A number of times a year MootjArt gives workshops. 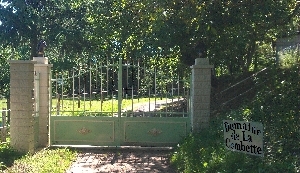 In a friendly atmosphere we create a MootjArt design together with you. That can be a mirror frame, or a bag. Depending on the object, the workshop takes 1 or 2 days. BOTH OPEN WORKSHOPS ARE BOOKED-UP. A two-day workshop recycling under the guidance of MootjArt at Association Rêve et Création in Saïx. 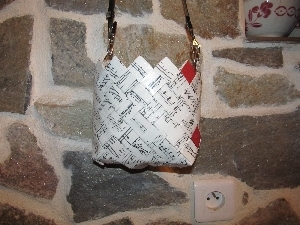 On the program is the making of a small handbag of sheet music, the HarMOny of about 15x15cm. Membership of this association is required and reservations can be made via Loetitia Vilotte 06 61 03 50 21. Participation is approximately 33 euros per day of which 3 euros will benefit the association. At least 5 participants. MootjArt regularly exhibits in boutiques and galleries, where a part of the collection is shown and offered for sale. MootjArt demonstrates the technique on an exhibition organised by association Rêve et Création in Longuegineste near Saïx (the expo is behind the church). 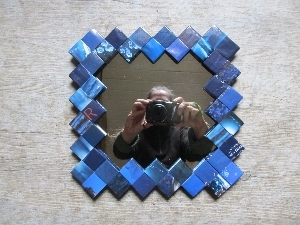 At the tombola you can win a mirror made by MootjArt. Open workshop, "Le Lundi des Savoir-Faire"organized by CCHVT (Communauté de Communes de la Haute Vallée du Thoré) in MootjArt's own studio at Verreries de Moussans. Reservations required via the Tourist Office of Labastide-Rouairoux, telephone number 05 63 98 07 58, free admission. 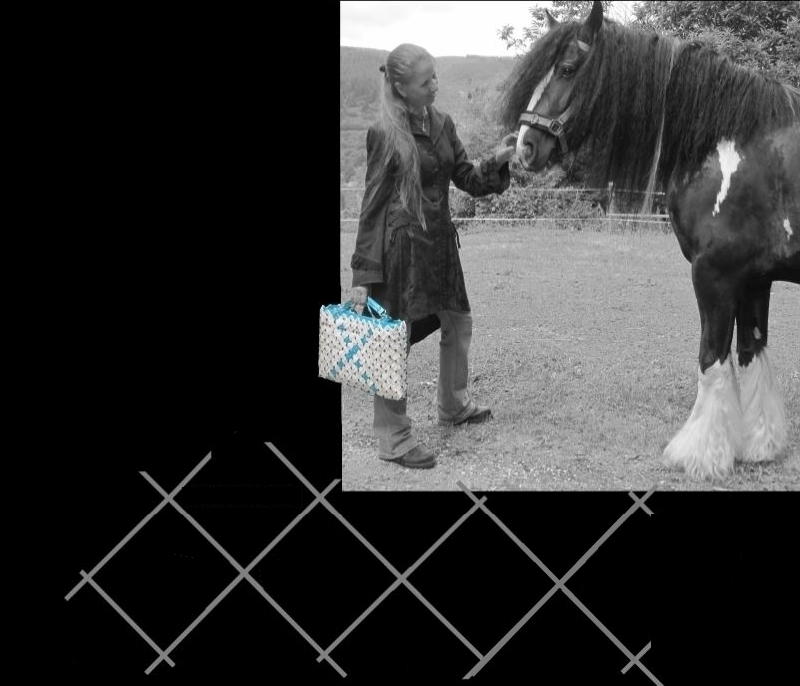 MootjArt talks about how she has revived the ancient technique and demonstrates how a bag is made. Continuous exhibition of gallery KeDuBo in Maison d'artisanat in Hautpoul in Mazamet. Maison d'artisanat in Hautpoul is a charming house from the 13th century and part of the former castle Hautpoul that dates from the time of the Visigoths (circa 700 AD). The ruin of the castle is freely accessible throughout the year. The picturesque village of Hautpoul is certainly worth a visit. In the narrow street, more artists have opened their studios to visitors. 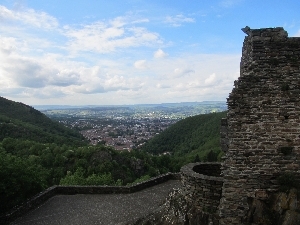 In September a passerel will be opened for the public from the ruins to the other side of the valley. The tour de France will pass under the village in 2018.